While images of crimson-colored lava erupting from Hawaii’s Kilauea volcano continue to captivate the world, one of the greatest concerns is toxic sulfur dioxide gas emanating from every new fissure in the volcano. Sulfur dioxide (SO2), which mixes with other air pollutants, can harm the eyes, skin and the respiratory system. At a minimum, it causes short-term breathing difficulties and is particularly hazardous for those with conditions like asthma or emphysema. NOAA’s HYSPLIT computer model helps forecasters estimate the concentration and movement of SO2 in the air — vital information needed by Hawaii’s emergency responders to make evacuation and other public safety decisions. The model uses wind and other weather data to predict when a plume of toxic gas might drift over population centers. 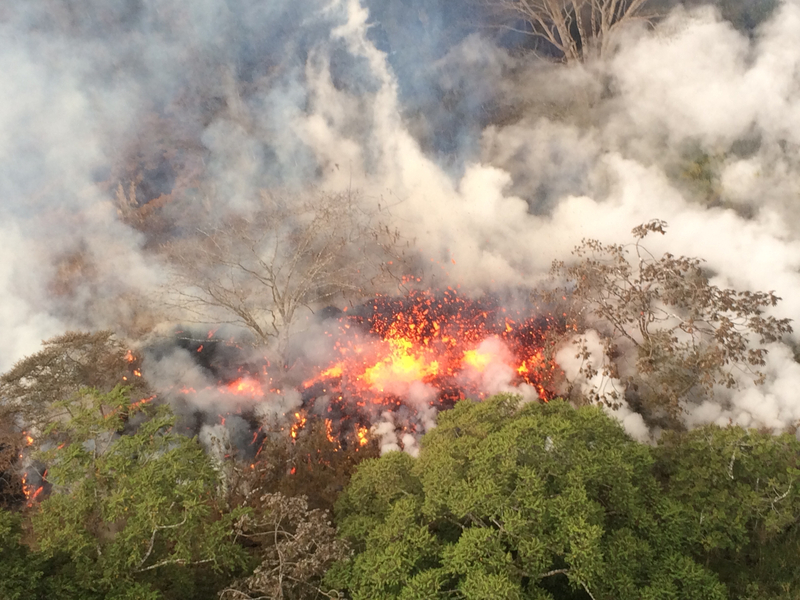 The first operational HYSPLIT simulation was run by NOAA’s National Weather Service Weather Forecast Office in Honolulu following an eruption on May 3. As events have unfolded, NOAA scientists developed a customized, enhanced version of the operational model used by NOAA forecast offices nationwide. HYSPLIT was developed and is continually refined by scientists at NOAA’s Air Resources Laboratory in College Park, Maryland. NOAA’s Honolulu forecast office now receives automated forecasts at least four times daily, and can run the model in real time, if needed, to more rapidly predict the movement of gases from cracks in the volcano based on changing wind and weather conditions. A version of the HYSPLIT model is also being used to warn of hazards to aircraft. When a large eruption on May 17 sent a plume of ash cloud nearly 30,000 feet in the air, NOAA’s Washington Volcanic Ash Advisory Center ran simulations, so NOAA could provide alerts to pilots about potential ash in the atmosphere. 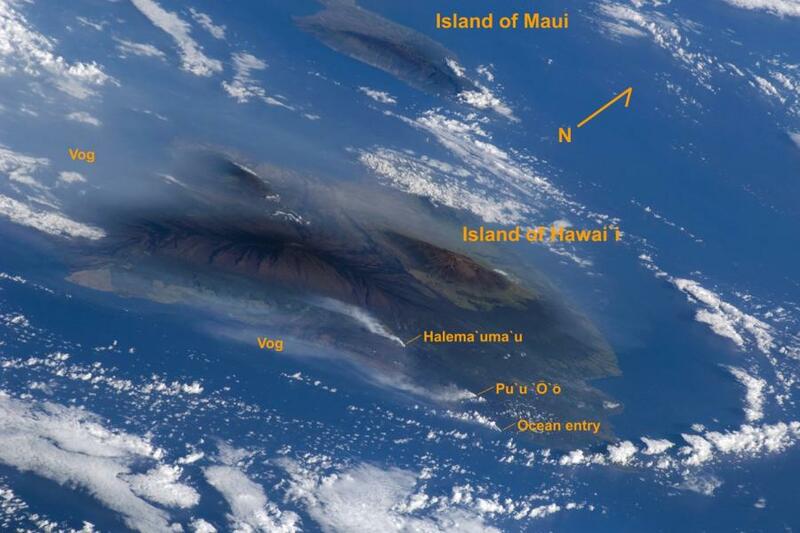 The University of Hawaii at Manoa is also using the model at its Vog Prediction Project to forecast vog, the volcanic equivalent of smog created when sulfur dioxide from the volcano reacts with carbon dioxide, water vapor and sunlight. NOAA’s Honolulu weather forecast office and the U.S. Geological Survey are in close coordination and support local, state and federal emergency managers at multiple locations, including providing critical wind and weather briefings. Scientists at NOAA’s Air Resources Laboratory will continue to interpret model output as long as it is needed, so that the most accurate information and warnings can be quickly communicated to emergency responders and the people living and traveling in and around Kilauea on Hawaii’s Big Island.